Dog Shaking Head | Why Does My Dog Shake His Head? Dog shaking head could be due to some minor problems such as itching or irritation, but head shaking in dogs could also indicate some more serious problems such as ear infections, ear mites, or ear injuries. This post looks at some possible causes of dog head shaking. 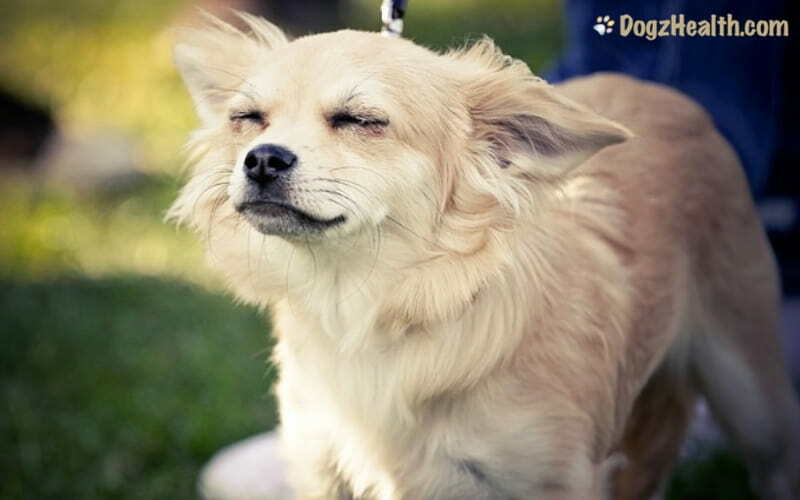 Very often, dogs shake their head when something is irritating or tickling their face or ears causing them to feel itchy. Sometimes an insect bite or sting can also cause them to shake their head in order to bring relief from the irritation. But when a dog is shaking his head persistently, it indicates that something more serious is causing the head shaking. If your dog suddenly starts shaking his head repeatedly and incessantly, you need to examine him carefully, paying particular attention to his ears. Look inside both ears to try to see if there are signs of infection, such as redness, heat, discharge, and foul odor. Also gently feel your dog’s head including the ears for signs of pain and tenderness. In addition, check your dog’s skin for signs of dryness, irritation, infection, wounds, or parasites. 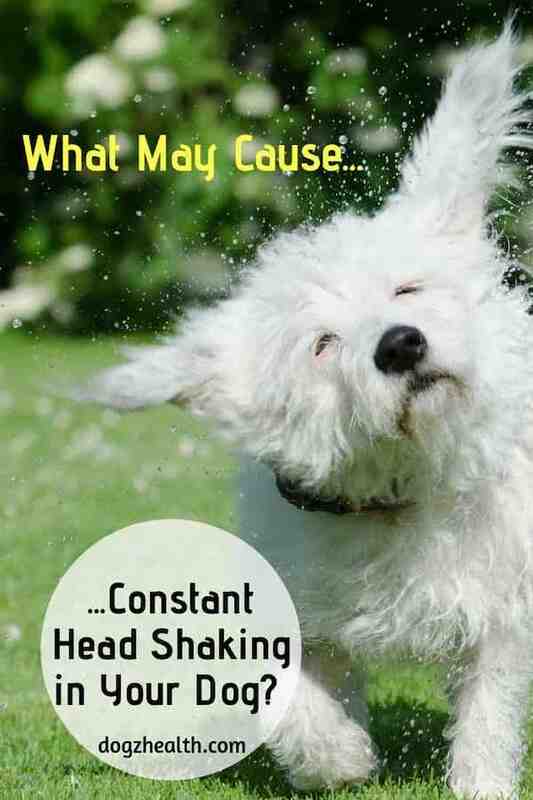 So, what may cause a dog to shake his head? There are a number of possible reasons, some require veterinary attention and treatment. Let’s take a look. Ear Infections: A dog suffering from an ear infection would most likely shake his head constantly due to the itching and irritation inside the ear. While it is easy to identify a case of outer ear infection, middle or inner ear infections are not so easy to identify by ourselves. If your dog is shaking his head and you check the inside of his ear but see no signs of redness, you should take him to the vet so he can take a closer look at the inside of the dog’s ear. Ear Mites: Ear mites can cause a lot of agony to dogs! Mites inside a dog’s ears can cause intense itching and irritation. Suspect ear mites if your dog’s ear flaps are red, crusted, and scabbed. You may also find something like coffee grounds in the dog’s ear canals. These “coffee grounds” are dried blood mixed with waxy discharge. Ticks: Sometimes, a tick may find its way inside the dog’s ear, maybe having a blood feast on the inside of the ear flap! This no doubt will cause irritation to the dog, resulting in head shaking. Foreign Bodies: If your dog starts head shaking after being out in the woods or field, there is a possibility that he has got something caught inside the ear, such as grass awns. Some awns such as foxtails are barbed and, if lodged in the ear canal, could be irritating to the dog. Sometimes, persistent and violent head shaking can cause small blood vessels in the ear to rupture. This results in bleeding in the ear flap which collects under the skin, making the ear swollen. This condition is called an aural hematoma. Other times, aural hematomas may be caused by insect bites (e.g. tick bites, mosquito bites), excessive scratching, and so on. No matter the cause, aural hematomas irritate the dog, making him shake his head even more. If you find your dog’s ear flap swollen and tender to the touch, you need to take the dog to the vet as soon as possible. The vet will use a needle to suction out the blood and fluid accumulated under the skin. Depending on how much accumulated fluid there is, sometimes your dog need to return to the vet for a second suction. An injury or infection: A wound or a local infection of any part of the dog’s head can cause discomfort and irritation, making him shake his head. A head trauma: Trauma to the head may result in a number of problems that might cause dog shaking head. A brain tumor: Brain tumors can also cause a dog to shake his head. It’s possible that the tumor is pressing on the nerves causing headaches. Other symptoms of canine brain tumors may include seizures, and symptoms that are similar to vestibular disease. An allergy: Allergies (such as fleabite allergy dermatitis, contact dermatitis, and food allergy) can cause extreme itchiness and discomfort to a dog, making him shake his head, scratch, lick, and chew himself incessantly in order to relieve the itching. Vestibular disease: Vestibular disease is a problem of the vestibular system, which is a sensory system located in the inner ear. Vestibular disease causes a dog to feel imbalanced and sometimes dizzy. This can result in the dog shaking his head in an attempt to relieve such symptoms. 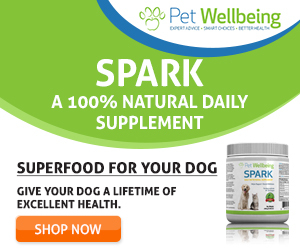 Toxicity: Some toxic chemicals and medications can have a direct effect on the dog’s nervous system. Exposure to such toxins can result in abnormal behaviors or neurological symptoms such as head shaking. Your dog should also get veterinary attention if his head shaking is caused by an ear infection or other ear problems that cannot be resolved by home treatment. Get veterinary attention if his head shaking is caused by an ear infection or other ear problems that cannot be resolved by home treatment.